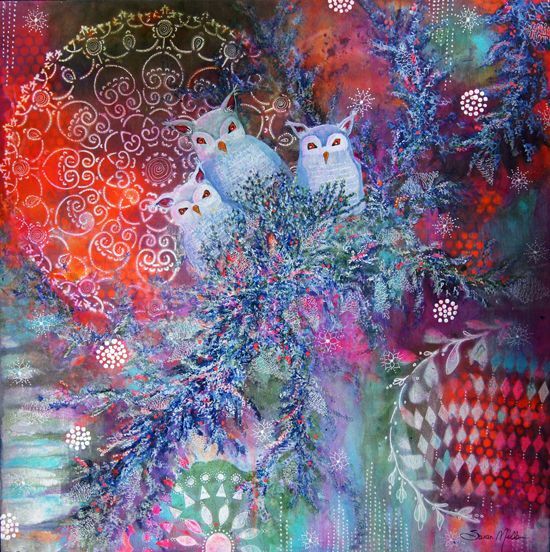 •	Paint and collage animals, birds or nature images in your beautiful background as a focal point of your painting. You will go home with a vibrant painting and the skills needed to develop an intuitive creative practice that includes reflection, inspiration, color, and joy! Acrylic Inks (1oz bottles) 2-3 warm colors; 2-3 cool colors; fluorescent colors are good choices for warms. I recommend either Liquitex Inks or Golden High Flow.